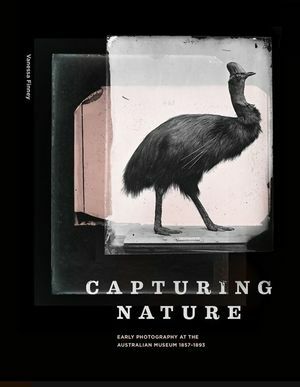 Archivist and curator Vanessa Finney unearths Australia's earliest natural history photographs in Capturing Nature, her new book that reveals how scientific photography began at the Australian museum. From tiny inch-long fish to whale skeletons as long as buses, the museum's camera captured thousands of extraordinary images that have never been seen by the public. Angus Dalton heads to the museum to meet Vanessa and find out how photography revolutionised scientific understanding of nature and influenced the ideas of Charles Darwin. 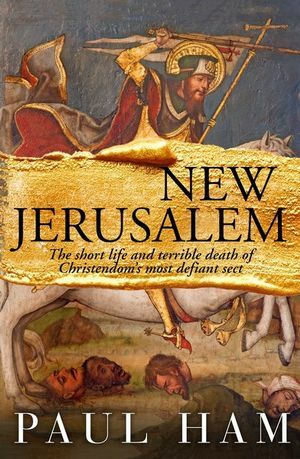 In his new book, New Jerusalem, historian Paul Ham casts his research net back some 500 years, to examine, in graphic detail, events in early 16th century Europe during the time of the Reformation. Gregory Dobbs talks to Paul ham about the rise of the Melchiorite sect and the bloody siege of the Westphalian town of Munster. He explores the blasphemy, depravity, and grisly death of Christendom’s most defiant sect, and finds many parallels in today’s modern world. Whether you're in need of a solid knock-knock joke, a cringeworthy pun, a hilarious yarn or a weird factoid you can whip out at a family barbecue, the Worland brothers are here to help. 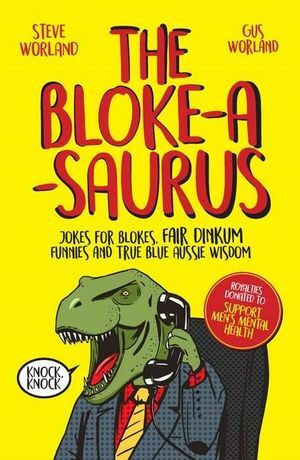 Triple M radio host Gus Worland and his brother, writer Steve Worland, have created The Bloke-a-saurus: Jokes for blokes, fair dinkum funnies and true blue Aussie wisdom. Ranging from groan-inducing corkers, mortifying dad jokes and side-splitting yarns (like the time Gus blew over 15 grand of Hugh Jackman's credit card), The Bloke-a-saurus is here to serve as on-the-dunny entertainment or to do the rounds of the family dinner table. Royalties from the book with be going to the Gotcha 4 Life foundation, which trains male crisis counsellors. In this podcast, Gus and Steve chat with Angus Dalton about why suicide is the biggest killer for men under 45, and how they hope The Bloke-a-saurus can help bring families together and challenge toxic masculinity. In Australia, judges are legally obliged to take a person’s apparent remorse into account when formulating their sentence, and yet how remorse is measured remains unclear. 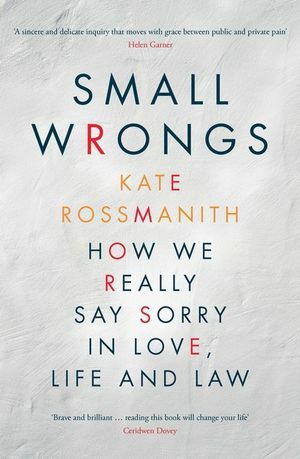 Kate Rossmanith’s new hybrid memoir, Small Wrongs: How We Really Say Sorry in Life, Love and Law, investigates legal, cultural, religious understandings of remorse and how they play out both in courtrooms and our personal lives. In this podcast, Kate tells Emma Harvey - a former writing student of hers - about comportment and composure in the courtroom, interviewing Supreme Court judges, and why we expect apologies, and ask for redemption, in our everyday lives. Besides gambling destinations like Macau or Monaco, Australia has the highest amount of poker machines per capita in the world. New South Wales was the second jurisdiction - just behind Nevada in the US - to legalise pokies, and a Sydney manufacturer continues to be at the forefront of pokie machine design and production. 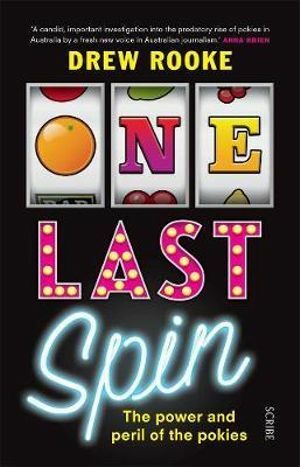 Drew Rooke's One Last Spin: The power and peril of the pokies is a shocking investigation into the gambling's industry's power over politicians. It lays out how governments line their pockets with the billions fed to poker machines while gambling addicts' lives fall apart, and how the industry uses NRA-style techniques to block legislation that would help addicts, yet stem their profits. In this podcast, Drew talks about the techniques poker machines use to beguile gamblers, the science of pokie addiction, and how his faith in the government to protect Australia's most vulnerable has been lost.